Julie Hotchkiss is a research economist and senior adviser on the applied microeconomics team in the research department at the Federal Reserve Bank of Atlanta. Her major fields of study are earnings and employment differentials across different groups of workers, variations in employment and earnings across time, and policy implications of changes in labor supply. She also contributes to the Atlanta Fed's macroblog, which provides commentary on economic topics, including monetary policy, macroeconomic developments, and the Southeast economy. Dr. Hotchkiss also serves as the executive director of the Atlanta Research Data Center (ARDC). The ARDC is in a secure physical location, housed in the Federal Reserve Bank of Atlanta, where researchers can access nonpublic census data and data from other agencies. Eight regional research institutions support the ARDC. The ARDC is part of the Federal Statistical RDC Network. Prior to joining the Bank in 2003, Dr. Hotchkiss was professor of economics at the Andrew Young School of Policy Studies at Georgia State University. She began teaching as a senior associate and assistant professor of economics at the Policy Research Center at Georgia State University in 1989. She maintains an appointment as adjunct professor of economics in the Andrew Young School at Georgia State. Dr. Hotchkiss has published her research in various journals, including Applied Economics, the Review of Economics and Statistics, and the American Economic Review. She is a member of the American Economic Association, the Southern Economic Association, the Society of Labor Economists, and the Committee on the Status of Women in the Economics Profession. 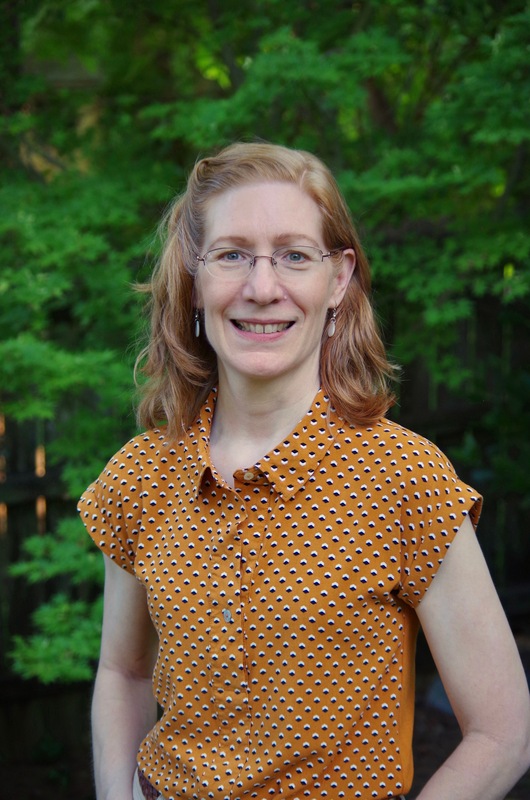 She has served as a coeditor for the Southern Economic Journal and the Eastern Economic Journal, on the board of the Committee on the Status of Women in the Economics Profession, and as a Vice President of the Southern Economic Association. A native of Los Angeles, Dr. Hotchkiss received bachelor of arts degrees in economics and French from Willamette University. 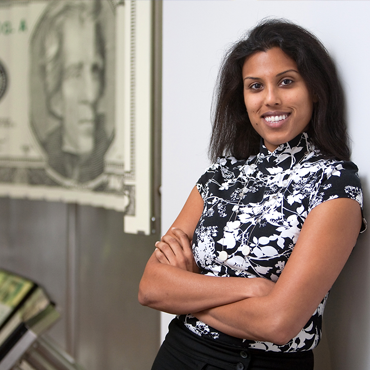 She earned her master's and doctoral degrees in economics at Cornell University. What's Up with the Decline in Female Labor Force Participation? Published in Federal Reserve Bank of Atlanta Economic Review as "Changes in Behavioral and Characteristic Determination of Female Labor Force Participation"
The Ups and Downs of Jobs in Georgia: What Can We Learn about Employment Growth from State Administrative Data? Julie L. Hotchkiss. "A Brewing Battle? A Review of The Coming Jobs War ." Federal Reserve Bank of Atlanta EconSouth (2012 Q2). Julie L. Hotchkiss and Menbere Shiferaw. "Decomposing the Education Wage Gap: Everything but the Kitchen Sink ." Federal Reserve Bank of St. Louis Review (2011 No4). Julie L. Hotchkiss. "Changes in the Aggregate Labor Force Participation Rate." Federal Reserve Bank of Atlanta Economic Review (2009 Q4). Julie L. Hotchkiss and Menbere Shiferaw. "Econ 101: What's in a name?" Federal Reserve Bank of Atlanta EconSouth (2009 Q1). William R. Smith and Julie L. Hotchkiss. "After the Boom, Housing Affordability a Growing Challenge." Federal Reserve Bank of Atlanta EconSouth (2007 Q1). Julie L. Hotchkiss. "Changes in Behavioral and Characteristic Determination of Female Labor Force Participation, 1975–2005" Federal Reserve Bank of Atlanta Economic Review (2006 Q2). Jason DeBacker, Julie Hotchkiss, Melinda Pitts, and John Robertson. "It's Who You Are and What You Do: Explaining the IT Industry Wage Premium" Federal Reserve Bank of Atlanta Economic Review (2005 Q3). Julie L. Hotchkiss. "Employment Growth and Labor Force Participation: How Many Jobs Are Enough?" Federal Reserve Bank of Atlanta Economic Review (2005 Q1). Julie L. Hotchkiss. "Economics 101: Demand and Supply." Federal Reserve Bank of Atlanta EconSouth (2005 Q1). Julie L. Hotchkiss. "Labor Market Lessons from Georgia's Temp Workers." Federal Reserve Bank of Atlanta EconSouth (2004 Q2). Julie L. Hotchkiss. "Review of Losing Work, Moving On: International Perspectives on Worker Displacement by Peter J. Kuhn." Federal Reserve Bank of Atlanta EconSouth (2004 Q2). Julie L. Hotchkiss. "Growing Part-Time Employment among Disabled Workers: Marginalization or Opportunity?" Federal Reserve Bank of Atlanta Economic Review (2004 Q3). Julie L. Hotchkiss. "Slide into the Economic Driver's Seat with the Labor Market Sliders." macroblog. May 5, 2017. Julie L. Hotchkiss. "Does a High-Pressure Labor Market Bring Long-Term Benefits?." macroblog. February 13, 2017. Rebekah Durham, Julie L. Hotchkiss, and Melinda Pitts. "How Will Employers Respond to New Overtime Regulations?." macroblog. July 15, 2016. Julie L. Hotchkiss. "What Occupational Projections Say about Entry-Level Skill Demand," macroblog. January 7, 2016. Julie L. Hotchkiss. "Should We Be Concerned about Declines in Labor Force Growth?" macroblog. October 19, 2015. Julie L. Hotchkiss and Christopher J. Macpherson. "Falling Job Tenure: It's Not Just about Millennials." macroblog. June 8, 2015. Julie L. Hotchkiss. "And the Winner Is...Full-time Jobs!." macroblog. November 24, 2014. Julie L. Hotchkiss. "The Implications of Flat or Declining Real Wages for Inequality." macroblog. June 30, 2014. Julie L. Hotchkiss. "Atlanta Fed's Jobs Calculator Drills Down to the State." macroblog. November 14, 2013. Julie L. Hotchkiss. "Behavior's Place in the Labor Force Participation Rate Debate." macroblog. May 10, 2013. Julie L. Hotchkiss. "Building a Better Jobs Calculator: Choose Your Own Payroll/Household Employment Ratio." macroblog. May 3, 2013. Julie L. Hotchkiss. "What If...? Looking Beyond this Month's Jobs Numbers." macroblog. March 9, 2012. Julie L. Hotchkiss. "How Many Jobs Does It Take? Introducing the Atlanta Fed's Jobs Calculator." macroblog. March 2, 2012. Julie L. Hotchkiss. "Employment: Some Good News, Some Bad News." macroblog. February 3, 2012. Julie L. Hotchkiss. "Another Side of the Administration's Tax Plan." macroblog. March 11, 2009. Julie L. Hotchkiss. "Higher Unemployment: Labor Force Effects versus Job Loss Effects." macroblog. December 19, 2008. Julie L. Hotchkiss. "Where We Live: Social Capital and Migration." Economy Matters podcast. June 28, 2018. Julie L. Hotchkiss (interviewer) and Ran Abramitzky. "Immigration in the United States: A Historical Perspective." Economy Matters podcast. May 24, 2018. Julie L. Hotchkiss. "A Discussion of Unemployment's Impact on Family Welfare." Economy Matters podcast. October 26, 2017. Julie L. Hotchkiss. "Coming to Our Census: A Look at the Atlanta Fed’s Research Data Center." Economy Matters podcast. July 22, 2016.